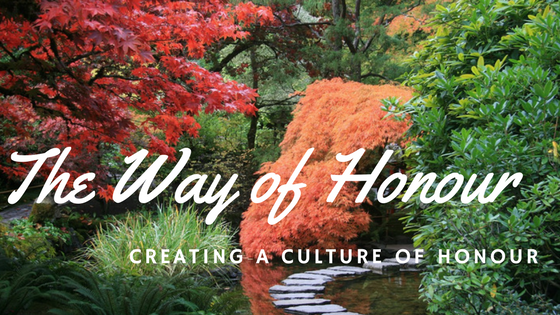 Recognizing the need for honour in a culture of entitlement is not easy. Living a life of honour demonstrates true empowered living. Today’s society largely focuses on dishonour. Think of how leaders are spoken about in the media, whether their leadership is political, spiritual, or in the marketplace. Dishonour shows up in our driving habits and how we treat those who are in the service industry. In many ways, we have become too casual in approach to show honour to others. Honour is choosing to value others through respect and gratitude. It is a gift we chose to give! Entitlement is the belief that one is inherently deserving of privileges or special treatment. Neither gratitude nor appreciation surround entitlement. Life is about “me”! I read that 93 percent of people feel undervalued and unnoticed! The uncomfortable truth is that the more self-focused we become, the less fulfilled we actually are. As we set our aim to honour entitlement vanishes! “All” includes people who don’t deserve our honour. We have practiced the feeble philosophy of loving those who love us, respecting those who treat others with respect and honouring those who are worthy of honour. When we follow this rule, we are allowing the conduct and behaviour of others to dictate how we live. We create judgmental lists of evaluation with headings marked “Worthy!” and “Unworthy!” In so doing, we limit our ability to love Christlike. Jesus set the bar high as He honoured all! Honour must be intentional and genuinely from the heart! It brilliantly disarms people with what they are not accustomed to seeing. Simple words like “I’m sorry!”, “Thank you!”, and “I appreciate you!” are phrases we need to consistently practice creating this renewed culture. They are especially effective when spoken to the undeserving! The first command with promise is connected to honour! In showing value and appreciation to previous generations, we are promised to live a long enough life to influence and impact others. As we honour, we are granted increased influence and favour. you will be given the same reward as a prophet. Some bible versions use the word “honour” instead of “receive”. To receive someone is, in fact, a demonstration of honour. Everyone wins in a culture of honour! In preferring others for their position, spiritual gifts, character, or even for no particular reason at all, we are promised reward! Good leaders know how to follow well! In blessing those in leadership, you yourself have patterned a culture of honour for those who will some day follow you. In following well a person is actually validating their own ability to lead well! During a military battle, the Israelites were winning as long as Moses held his staff above his head. But his arms grew weary. Every time his arms fell, the enemy began to triumph. Although Aaron was a leader in his own right, he willingly came underneath to hold up his leader. What a beautiful example of honouring leadership! … to esteem them very highly in love for their work’s sake. We have no way of knowing how many “hits” our leadership take for us each day. They are in the front lines making decisions that effect many more people than we realize. When Satan’s arrows fly, our leaders get hit first! Although we have all probably experienced poor or self-seeking leadership, in choosing to value and appreciate leadership we are empowering them to have their greatest impact. We each have opportunity daily to demonstrate this quality in our homes, communities, and workplaces. I find that when I honour in my heart, my words and actions will follow. The battle for me is to maintain a pure heart and mind. The hardest person to lead is ourselves; so give yourself patience as you practice the grace of honour. Don’t give up! You may face rejection or fail! With time and effort we can each make a difference in our spheres of influence. Lead the way! Leave a comment or subscribe here! ← Christmas – The Reason Jesus Came to Earth!